Article by: Kingsley Jones. 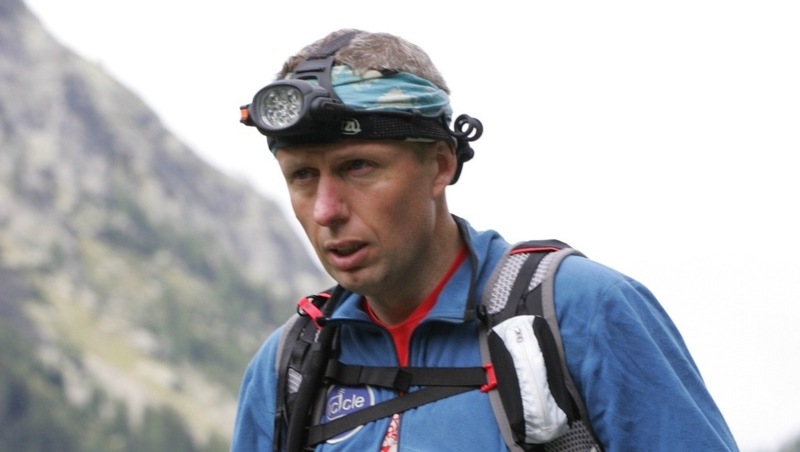 A two time finisher of the UTMB, as well as the TDS (Sur les Traces des Ducs de Savoie), CCC (Courmayeur, Champex, Chamonix), 80km du Mont Blanc, Trail des Aiguilles Rouges, Tor des Geants, and a whole host of other shorter mountain ultra trails. The face at the finish is a pastiche of emotions; determination and despair, elation and exhaustion, pride and pain. All in equal measure. 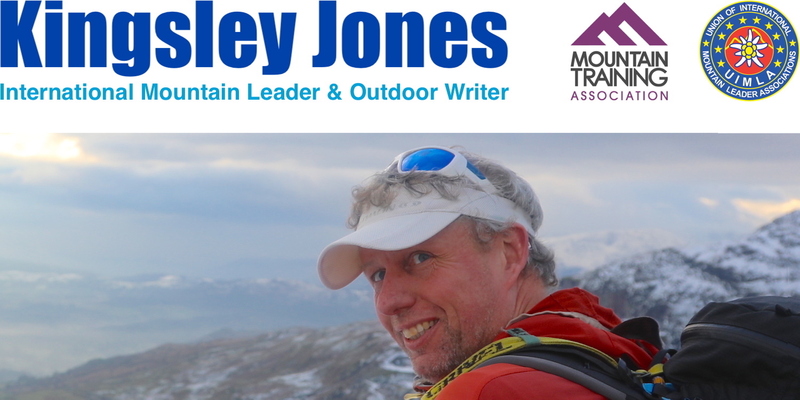 That was me two years ago in the photo above, and despite many asking me to write about my experience of this ultra trail, I haven’t for fear of it being self indulgent and over emotive. Since that day I’ve crossed the finish line of the Ultra Trail du Mont Blanc (UTMB) a second time, as well as other trail races, and I’m far better placed to put my original UTMB in proper context. Now I understand what really inspired me, what I was afraid of, and why I signed up in the first place. I’m also distant enough from that race to honestly say what I felt, now the psychological barriers I’d put up before and during the race have melted away. It’s too easy to write in clichés about the UTMB, that self proclaims itself as the ‘Queen of Trail Races’, perhaps a surprising accolade from a socialist republic. 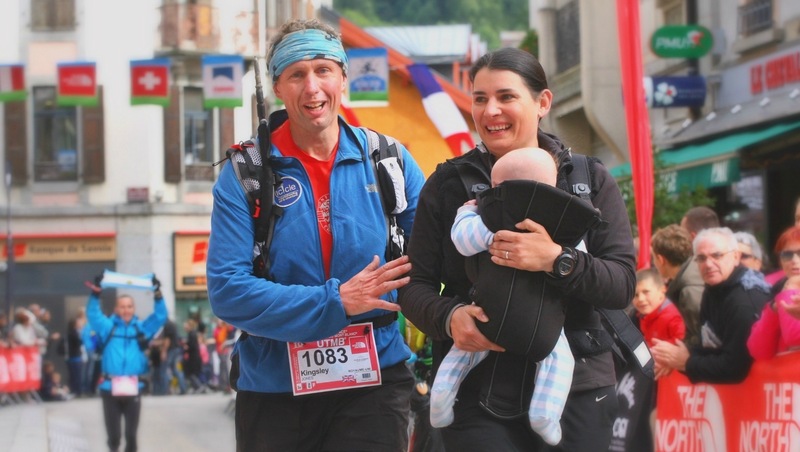 It would be too easy to say that every astronaut wants to walk on the moon, or every actor desires an Oscar, and that every runner wants to join the select ranks of UTMB finishers. Nothing is further from the truth. Many runners plod around the park to lose a few pounds or to feel the boost of endorphins. Others run to escape the stress of every day life, or to provide challenges that don’t exist in it. Some I’m sure run for all these reasons, on a different cocktail of motivations each day. I don’t remember the day I decided to run the UTMB, but I vividly recall watching the runners set off each year as a spectator amongst thousands of others in the streets of Chamonix, and being moved close to tears by the raw emotion of the crowd, the passion of the runners, and that music. No one who ever completes the UTMB will ever get the Vangelis ‘Conquest of Paradise’ out of their heads. I remember lying in bed in a mountain hut one winters night a few months before running the race, whilst guiding a team of snowshoers in Italy, listening to that crescendo of music in my headphones before I went to sleep. Just hearing the music conjured up all the magic of the start of the race. There is something all consuming about the UTMB that is greater than the race, the mountains is crosses, or even the motivation of the runners. 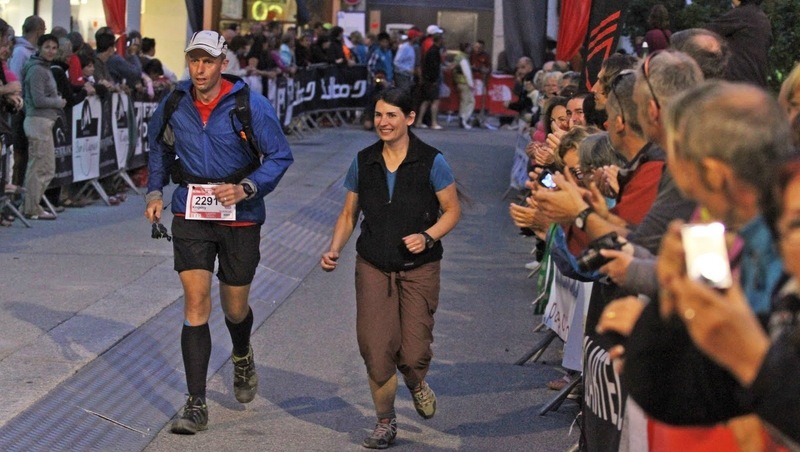 The spirit of the UTMB makes it so special. I’ve run countless mountain races in amazing places, where I couldn’t put my finger on that single unquantifiable element that was missing. Now I realise what it is that is unique to the UTMB; quite simply it is a love and deep respect of the local mountains that we run in that you witness in every runner, and probably more in each race volunteer and the local villagers in France, Italy and Switzerland. The volunteers and spectators are proud that you are attempting such a challenge in their valleys and hills. Sure, in other races people gush about the scenery, but in the UTMB people never ask your time as a first question. It’s always “were you a finisher?”. The profound, deep rooted respect of the mountains that host this event, is phenomenal. 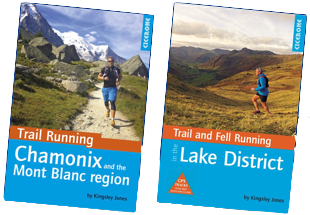 I remember too the day that I got a text from my wife, while I was out guiding a group on Mont de l’Arpille in Switzerland, to tell me that I’d got a place in the ballot for the UTMB. I’ll remember that day as vividly as the race, as it marked a mental obsession with the race that lasted the following eight months. I note that I keep referring to the UTMB as a ‘race’, but in truth it’s only that to a small handful of runners, who actually compete for a top place. For the majority, it is an opportunity to do as the North Face sponsors advertise to ‘explore your limits’. Sure it is a race, but a race against just one competitor; yourself. Nearly 2500 runners set off each year, and on average only half reach the finish. There are the usual culprits of twisted ankles, muscle strains, tendon damage. What shocked me, both in myself and watching others, was the visible mental battle that was ever raging. I saw strong athletes seeing the scale of the next hill, sit down on a rock by the trail and cry in disbelief. I heard one older man stop in a food station near the end, simply saying to the marshal that he didn’t want to hurt any more, and that he had nothing more to prove. In my experience I saw more people drop out from being defeated mentally than physically. For me to wear my finisher top, is more to say that I saw and just about held off my demons, than I ran such a famous ultra-trail. I would never be so naive as to say that I conquered my demons. They pursued me to the finish line, and for several days if not weeks after. To be a finisher is to learn an enormous amount about yourself; some of it good, mostly a lot less so. The photo above was taken in one of my lower points, well before the half way point in the race, during the descent to Courmayeur in Italy. I’d really done my training for that race, and remember feeling disbelief that I felt so bad. Actually I’d damaged my elevator tendons in my feet, but at the time it was a mix of confusion about why I felt such pain, and annoyance that all the hours and days of lonely training hadn’t stopped this pain. More than these emotions, was a cloud of fear that this could stop me reaching the finish. I still don’t think that the fear of not finishing was selfish. I could happily have faced my friends and told them that I’d injured myself and couldn’t finish. It wasn’t some deep rooted insecurity that I’d label as determination. It was a feeling that I’d trained hard in the mountains, and I had learned to look at them in a very different way during my months and years of training, yet I was getting no boost from this. My fear was that somehow I couldn’t draw strength from the scenery that I knew so well, but what made a difference at this stage was the support of the unknown individuals in each village I passed who cheered me on. It felt that they believed in me, when I did not, and when you are cold, tired and lonely, that was one huge spur to drive me onwards. It sounds crazy in the light of day, but my key memories about the mental boosts are etched as clearly in my mind as if they had just happened. At about four o’clock in the morning, as I passed through the Swiss hamlet of Praz de Fort, one lady had set up a chaumiere (coal heater) alongside the track and offered hot coffee to those who were passing by. No one was paying her to offer this. No one asked her to stay up all night. She was an individual who was as emotionally caught up in the race, as all of us passing by. As I left the mountain village of Champex-Lac, I passed a mother who had woken her three children up in the night, to stand next to a barn ringing a cow bell in support, the children’s little hands caught in the beam of the head torch, stretched upwards to clap the hands of the runners. The excitement and belief in their small faces was enough to motivate anyone to continue. There are literally hundreds of unknown faces that I remember, each of which I can never thank enough for helping me on my way. The kindest person was a race volunteer who helped me in Trient village food station, just before the final climb over the mountains back into France. As I entered the marquee, I sank down onto a bench, too tired to pick up any food or drink. The woman saw me, recognised my plight, and fetched me a sugary tea and she made me a sandwich. That act of kindness and compassion meant more to me at that vulnerable time, than anything else. Those who know me will know that I never drink tea, yet strangely I asked for it at that checkpoint. During the UTMB your tastes change, and you crave very different foods at each stage. It felt like the fluctuating food cravings pregnant women sometimes cite. At one food station I wanted salty soup, chocolate at another, and sandwiches at a final stage. Obviously my body was in charge at that point, telling me I needed electrolytes, fats, or protein. I’ve qualified as a Personal Trainer and an International Mountain Leader, and have studied for days about diet and hydration for endurance sports and at altitude, yet during the race there is just one piece of advise I’d give anyone; listen to your body, not your brain. That’s what to be a UTMB finisher really is; a witness to a huge variety of support, from the simple shouts of ‘allez’, to those who took the time to read your name on the race number to cheer you on, and to the unsung heroes to shared their spirt of the UTMB with me and in so doing, provided such strength. No one finishes the UTMB on their own. Your efforts are the culmination of your stamina and hundreds of other people’s energy. It is impossible not to be moved by that, and to be a ‘finisher’ is to become a far more humble person. In many other races you hear a lot of bravado, which the French so eloquently call ‘blah blah’, yet the UTMB makes you listen. Some runners, such as the amazing Lizzy Hawker who has won the UTMB a record six times, cite listening to the mountains and nature. For me it was a mixture of listening to the mountains, and their inhabitants. You cannot run deaf to this, and I think contrary to the idea of huge personal focus and drive to finish this race, it is a question of becoming less focused and more open. As well as the mental battles regarding motivation, perhaps the more amusing elements that I wasn’t ready for were the hallucinations and questioning of whether what I thought I’d seen was real. For most people the UTMB involves two nights and two days out running in the mountains. On the second night I entered a zombie like state of tiredness. The Sentier des Champignons is a forest trail climbing up from the Swiss Val Ferret, and as I rounded a corner I saw a small tent lit with Christmas lights, sheltering a table in which a old man was playing techno records on mixing decks. I told a friend about this after finishing, and he questioned my sanity, perhaps not surprisingly as there is no electricity in the woods half way up a mountain. It took a further three days to speak to someone else who had seen the same thing in the same place, and he had seen a generator that was providing the electricity. Bizarre as it seemed as a spectacle, my sleep deprived brain was on the cusp of believing anything without question, including hallucinations. On the final few kilometres of the trail into Chamonix, I was running on empty, and saw lines of chairs on the side of the trail. I thought that the organisers were very good in anticipating how tired we would be, so took advantage of a chair. It turned out not to be there, as a tumbled over, but my brain registered it as me simply toppling the chair over. Don’t worry I was in safe hands, running with a French guy who kept warning me about ‘trees’ growing in the middle of the trail, that I could clearly see didn’t exist. Another runner was convinced that we were lost, despite the fact the French runner and I kept pointing out the markers. I was convinced I was running with madmen. They’d both witnessed my chair incident so probably thought that I was the nutter. In retrospect these hallucinations are highly amusing, but they exemplify how fragile a state of mind runners are at the end of see events, and how little common sense and ‘normal’ emotions and determination can be counted on. I keep on mentioning loneliness during the race,which sounds crazy considering the hundreds of runners and spectators, yet despite there being no feeling of competition, each runner performed in their own little bubble. At the start of the race, there is an amazing atmosphere at the start line, and you run through the crowd lined streets, often up to ten spectators deep. There is cheering, flag waving, music, cow bells ringing, cameras flashing, and whistling. Within minutes you leave Chamonix and get onto the trails, and the noise reduces to breathing, the scuff of shoes on stones, the rustle of clothing, and the stomp of feet. No one talks. Everyone is very focused. Many people are jostling for place, and the feeling is aggressively charged, perhaps unsurprisingly with all the pent up energy and worries. After an hour or so, the mood changes as the field spreads out, and people settle into their rhythm. During the first night and dawn, the individual focus is high, and it is strangely lonely. Towards the end of the race, the runners started to interact more, chatting and taking photos of each other. Perhaps the enormity of the challenge brought us together, as well as a growth in realisation of how important it was too us. It felt to me that for each kilometre run, each metre climbed, that the race grew in stature. Maybe it was a case of having invested so much that it became so much more personal to each of us. The night after I first finished the UTMB, I hurt too much to sleep well. I couldn’t get undressed myself, and it hurt to much to be helped. I shivered under the duvet and blankets, not through cold, but through physical and a greater mental exhaustion. I kept waking up afraid that I needed to keep running to reach the finish, petrified that my sleep had affected my chances. The next morning I had a long painful bath. Muscles were locked, skin was rubbed raw, feet ached, and everything hurt, yet nothing filled me with more pride than seeing the finisher jacket hanging by the door. 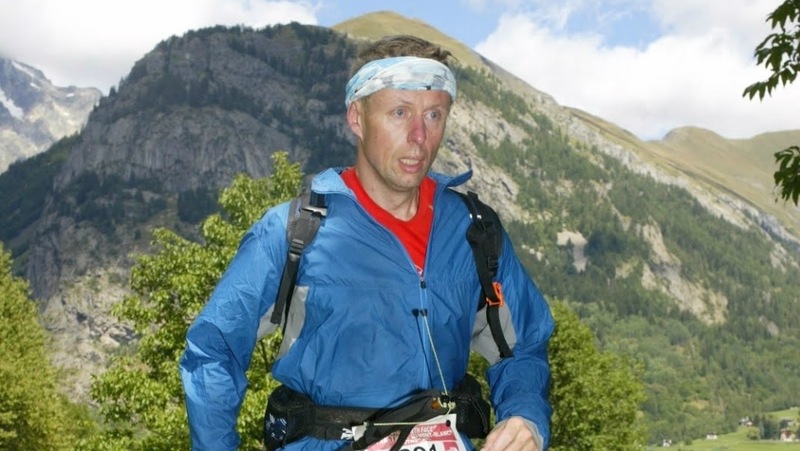 I wasn’t a UTMB competitor, a dreamer, or a DNF (did not finish) type. I was finally a finisher. I know I wore that top too much in the following months, but as by now you will realise, it was a sign more of a personal than a physical quest. I guess that’s why I signed up the following year. Despite huge over subscription, I was fortunate enough to get a place. Everyone I knew questioned why I wanted to do it all over again. Hopefully you will know why, if I’ve explained myself in this narrative; that I wasn’t ‘doing’ the UTMB again, but I was ‘experiencing’ the UTMB again. The second race was badly affected by snow, and it’s route was changed, but the spirit was unaffected. The photo below was taken at the second finish, and I think it is totally different from the first; a knowledge of the spirit of the UTMB. In writing this, I’m very aware that I have not provided a blow by blow account of the UTMB, describing the route step by step, and I have no intention of providing one. This race is about your spirit, how you grow, what voices you listen too, and is far more than simply where you have been. I put this note at the end of this narrative, not as an apology, but as my only challenge to you; to listen to how I listened, and to open yourself to listen in whatever way suits you. For me trail running is not a hippyish journey of self discovery, but more an experience of thousands of unique inputs and memories. The same trail is completely different for each runner, in a shared landscape.